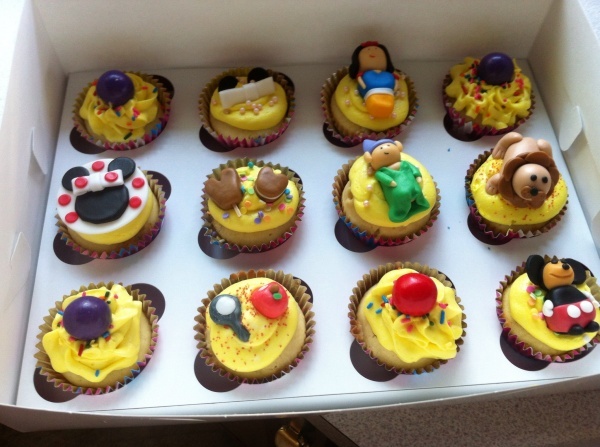 Are you a big Disney fanatic like I am, and want to incorporate some Disney into your birthday party? Well, I did one year & made it more of a “mature” Disney theme. Here’s some of my DIY items that I did for my Disney/Snow White themed birthday party when I turned 25! A lot of these could also double as wedding, or any party items too! 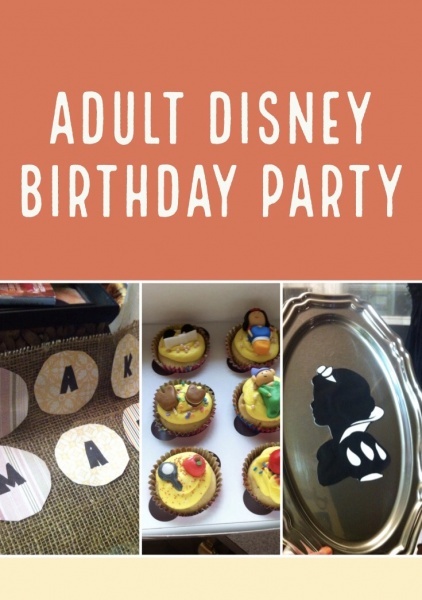 Let’s have some fun talking about my DIY adult Disney birthday party! While my party was Disney in general, it’s central theme was Snow White because she’s my favorite princess! You might want to opt to keep things general, or choose a favorite character and lean towards that. I kept the colors of my decor to black, white, red, yellow & blue. I used paper lanterns, streamers & other party items. There’s tons of ways to make both options “grown-up” and classy-I’ll list them below! 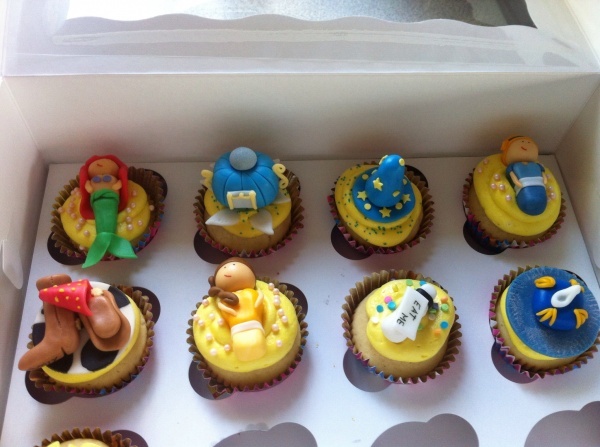 For my party, I had a local bakery make some cupcakes that had these adorable characters & everything Disney on it! I had both vanilla & chocolate options for my guests. If you’re a baker, I suggest making sure your cake or cupcakes match the occasion! Or, consult a local bakery to inquire if they could meet your needs. Another fun thing if you’re close to the parks, have any park snacks at home, grab some of those & have out! Made by a local bakery – check out those details on Cinderella’s carriage! Made by a local bakery – look how cute that Mickey bar is! As a photographer, a common factor at all of my parties is a photo booth. I had a Disney themed back drop with my camera on a tripod & took pictures of everyone in front of it! This is always a hit. You could do something fun like finding Disney props & could even use your iPhone! I went to my local dollar store & found a oval shaped silver serving platter. 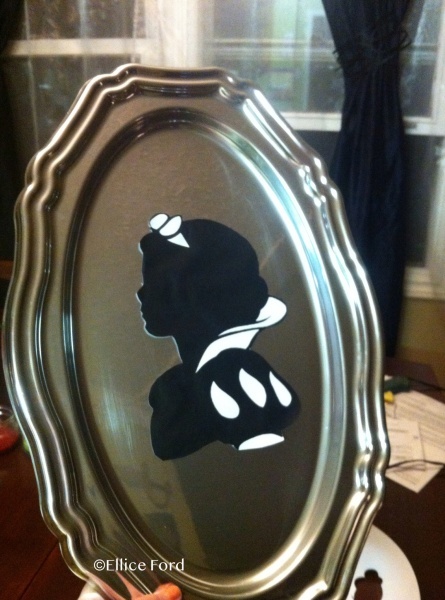 On it, I found a black silhouette of Snow White & simply glued it on! I hung this as part of the backdrop behind my kitchen table. What’s a Snow White party without a caramel apple bin?! I had a selection of apples on my table for guests to enjoy. 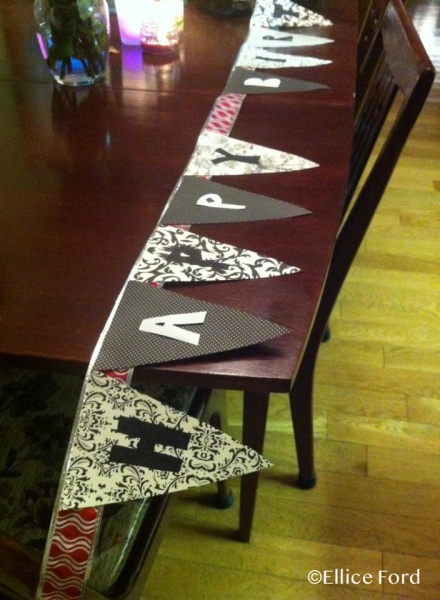 My Happy Birthday banner was made from red ribbon & damask patterned scrapbook paper. Keeping with the Snow White theme/colors! I simply cut triangles, making sure the size remained consistent, and used hot glue to attach them to the ribbon. 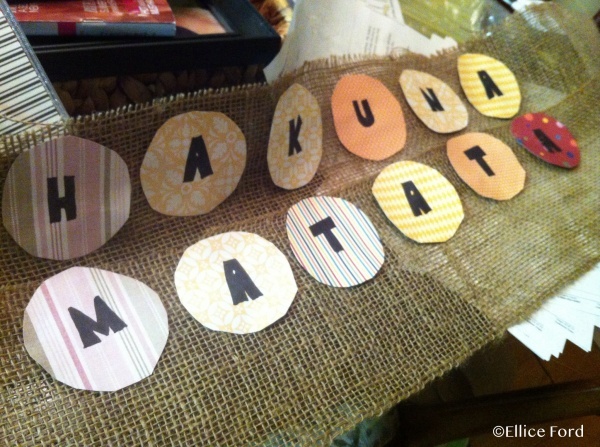 Using scrapbook paper, I found some Lion King-esque colors, cut out circles, and used a sharpie to write “Hakuna Matata”. I then used hot glue to adhere it to the burlap banner! Using bristol board and foam numbers, I created a Cinderella colors clock that was about to hit the stroke of midnight! I hung this in full view for all the guests. Last up, I had Disney movies playing on my TV on silent, while enjoying a playlist with a mix of modern songs & Disney songs on our bluetooth speaker! I made up my own trivia game to play with my guests, and even had a Disney themed prize! Now, the Disney play app has awesome music & trivia to make all your magical dreams come true at your party. Bonus tips for an Adult Disney Birthday Party! -rent a small metal carriage; great for a card holder option at a wedding! A friend of mine did this & I fell in love. I would use it at any party or event! -glitter; glitter & confetti everywhere! -wine bottle centerpieces; a great option for a wedding too! Paint your leftover wine bottles white (or a color of your choice) with some glitter. They end up being a very magical, mature piece for your event! Those are my suggestions for bringing a hint of Disney into your party. Do you have any other ideas for an adult Disney birthday party? Share in the comments or on Facebook or Twitter!